As the Bridge Theatre  opens – the first new large commercial theatre since 1973 – I’ve been thinking about the unique role played by venues at the opposite end of the spectrum. I’m a big fan of small theatres. That’s probably not surprising – I run one. And I’m conscious of how difficult the imperative for small theatres to ‘grow’ can be to resist. The transition into a bigger building is, in the context of a capitalist society, an expression of success; likewise a significant increase in turnover. But not every small theatre is a big theatre struggling to get out. There are many ways in which the country’s diminutive venues are vital precisely because of their size. Much of the brilliant work staged by small theatres isn’t the most newsworthy. But these venues are the places where many artists have their first professional experience, so what is happening here now will define how the sector looks for decades to come. Katie Mitchell  started out at the Gate when Stephen Daldry was artistic director. In an interview she recalled “how we both helped carry the scenery in and out of the theatre, painted the walls and even cleaned the audience loos”. Alumni of the Finborough  include James Graham, Mark Ravenhill and Blanche McIntyre. And The Play That Goes Wrong  – Broadway’s longest-running play – had its modest beginnings at the Old Red Lion . But it would be unfair to present smaller venues purely as a training ground. Many well-established artists value working in these contexts because a different kind of risk is possible. When the business model relies on the sale of 100 tickets, as opposed to more than 400, the motivation isn’t necessarily the potential popularity. Instead there’s room to experiment with the limits of the form. 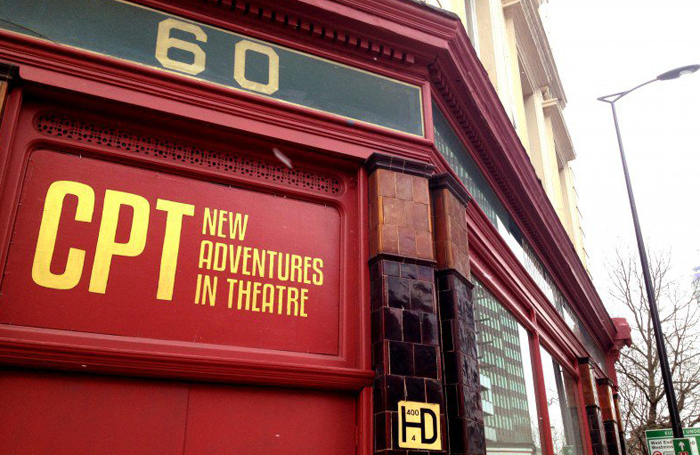 Often, too, small theatres can change more swiftly. You can make a decision in a morning meeting and implement it by lunchtime. That’s why small venues frequently lead the way in increasing accessibility. Could a large venue have pioneered an across-the-board Pay What You Decide policy, as Slunglow ’s Hub did? Or been founded as a platform for cross-cultural exchange in direct response to race riots, as was the case for Tara Arts ? Perhaps, but often it is only because of smaller venues’ ventures that the sector learns what is viable. During my time at Camden People’s Theatre , we’ve clung to our modest proportions (70 seats at a push). It has enabled us to take risks and made us accessible to artists and audiences who may not have felt at home elsewhere. There have been times when the work has been so leftfield (explicit, queer, long-form improvisation; grime concept operas; rainbow-vomiting unicorns) that I’ve been prompted to think about how few places there are where this could happen. They are the moments of which I’m most proud. After all, that’s exactly what small venues exist to do: make space for that which might otherwise seem impossible.